Wheel alignments are one of those preventative maintenance items that is often put off for too long. Several months ago I was driving my Subaru in a freezing rain storm. I was shocked at how poorly the car was handling. The back of the car kept side stepping requiring almost constant correction to keep the car from skid-ding out of control. Several weeks later while parked in a hotel parking garage in Connecticut I noticed the inside of the rear wheels was very worn. I made an appointment to get a four wheel alignment. When they brought the car in and put it on the lift, they showed me that the inside of the rear tires was so worn the steel belts were showing through the tread. They asked me if the car had recently had body or sus-pension work done. Nope. The car has never had any body work, body damage or rear suspen-sion work, ever in 11 years and 202,000 miles. How far out of alignment was the car? 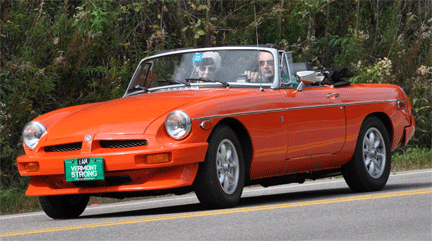 The front was within spec., however the rear wheels were towed out (pigeon toed) two full inches. The spec. is for the wheels to toe in .002″. I am at a loss to explain how the wheels “migrated” so far out of specification, or just when it happened. The signs were all there. I noticed that the tread wear was uneven, or “cupped.” The tires were making more tire noise than normal. The car was not tracking well, and was outright unsafe on slippery roads. Rather than having the alignment checked, I continued to drive for months. The alignment shop charges $69.00 for a four wheel alignment, and they said they usually take about 20 minutes. Being 11 years old all of the alignment bolts on my car were frozen. They worked on the car for a full two and a half hours to free the bolts up and align the rear wheels. They said because of the extra time, they had to charge me a little extra. How much? An extra $10, for an out the door cost of $79.00. (I’d recommend this shop in a second if anybody is interested). Had I taken care of this when I first noticed it, that would have been the total cost. Unfortunately, I waited too long, and now I need to buy a new set of snow tires. I could have easily gotten one more season out of these tires if the alignment were not so far off. Lesson learned. 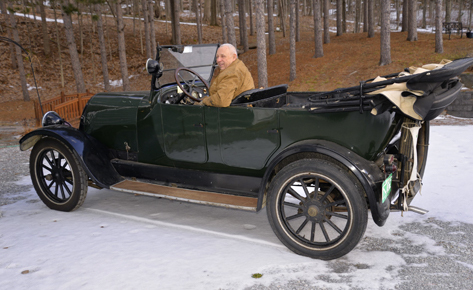 The St. Albans Fire Chief’s 26 Buick is found! Well, did that go places! There were a number of calls from folks who claimed the car was a 27 Buick, just like a few of the guesses that had come in earlier. Then a call came in from this gent pictured to the right, Alden Chapman of South Barre. 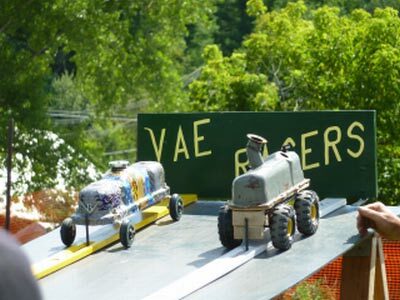 Alden is the famous VAE member who has a lifetime collection of over 2000 diecast cars. 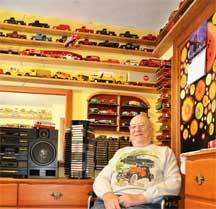 You might remember a short article about his collection in the August 2011 issue of Wheel Tracks. He confirmed the chief’s car was a 26 Buick Roadster and told me a little about it being re-stored some 43 years ago. His last comment was the Buick was stored in a garage and he knew where! 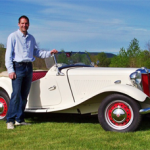 owner of the Boardman/Teachout Speedster. 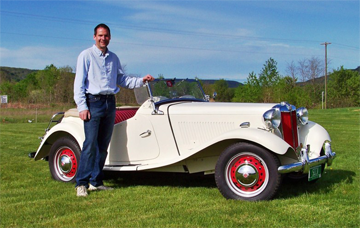 Greg told us with pride how his Dad won the Governor’s Award at the 1970 Stowe Car Show and how Governor Davis presented the award to his father, Dell. 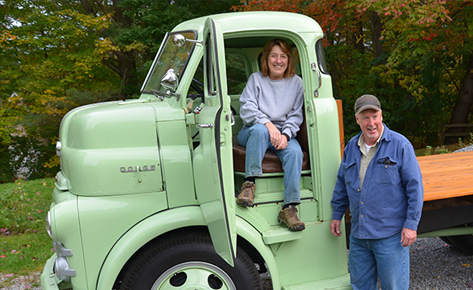 Greg and Sue became the new owners in 1998 and he speaks of the many trips he has made to the Stowe Show since then….and some of the repairs he has made on the 86 year-old car. 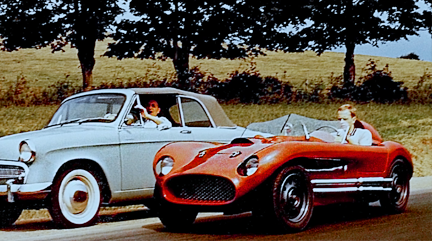 From our conversation, I think he knows a thing or two about how to keep this roadster on the road. 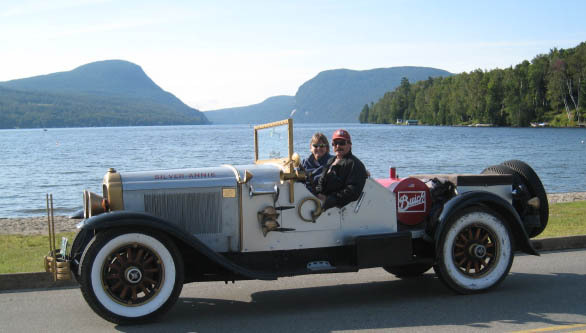 There were over 255,000 Buicks built in 1927 and around 10,000 of them were coupes like this one. 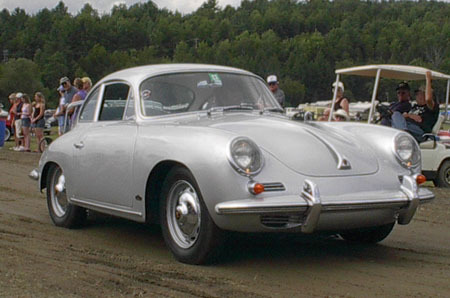 Around 12,000 Country Club Coupes were also made. They had 207 cu. inch engines that produced 63 HP and average cost was $1100.00. In trying to make a 100% connection between this Buick and the St. Albans Fire Department, I asked Greg haw he knew it was the Buick in the fire station picture. The Buick part, we know is correct and the 1927 part is also correct. The positive connection with the fire house was made from the fact that the “St. Albans Fire Department” logo was still on the car’s doors when Dell brought the car home. 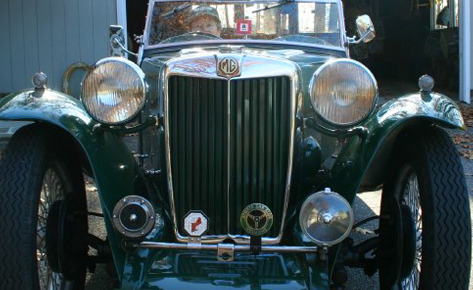 When and who was the Buick sold to when it left the St. Albans FD, and how did it spend it’s time before 1965? Where is the Boardman/Teachout Speedster? Where did it go when Charlie Arnholm sold it?